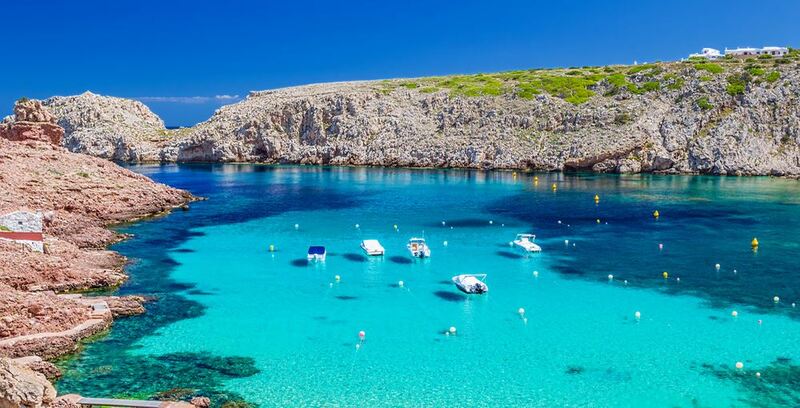 Cala Morell beach, located on the north coast, belongs to the district of the same name. Its compact size gives it a special charm. It is surrounded by rocky outcrops adorned with bright white houses. Its backdrop of different types of stones documents the geological evolution of Menorca. Tip: Snorkeling is particularly popular here!